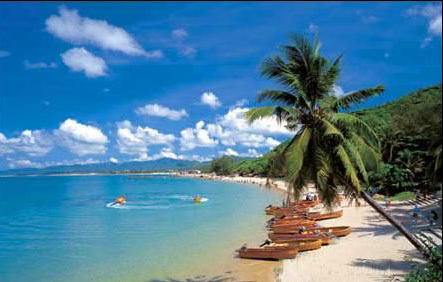 In the 4th quarter of 2012, the seawater in Sanya was reported generally fine, meeting the Grade III national standard for surface water quality, according to figures released by the Hainan Provincial Environmental Protection Bureau. The monitoring results showed that the surface water quality of the monitored waters almost always achieved or even exceeded surface water Standard Level III with a good quality. The water quality of the 4 urban centralized drinking water sources has achieved water standard Level I which meets the regulatory requirements. The sea water quality of 7 sea areas, including Haitang Bay, Yalong Bay, Dadonghai area, Sanya Bay, Tianyahaijiao area, Wuzhizhou Island and West Islet, reached marine water standard levels. The air quality during the monitoring days achieved the Standard Level l of Chinese environmental quality standards.